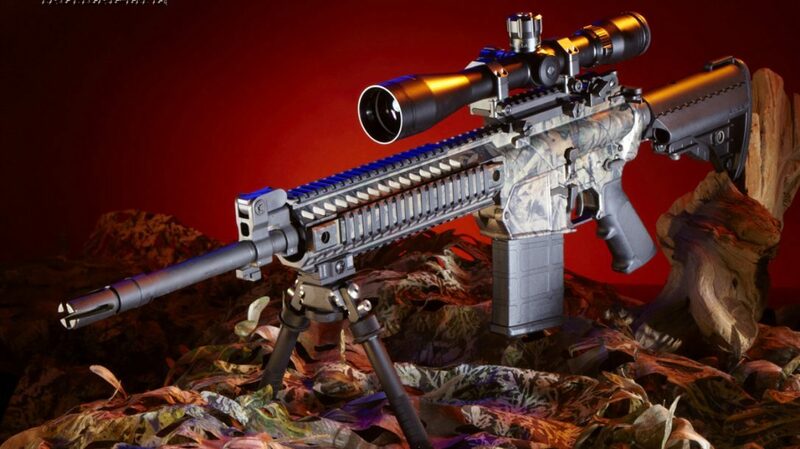 From battlefields to cornfields, 3-Gun to self-defense, here are the latest and greatest Top 10 ARs from 2013! 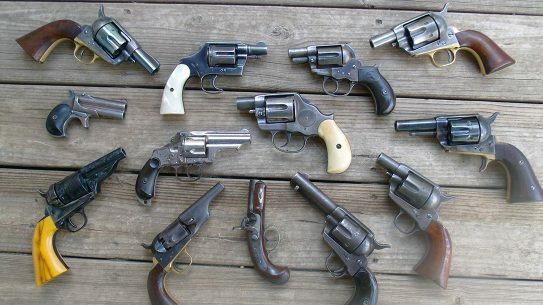 Rifles are tools, and like our readers, we use them like a hammer and anvil. 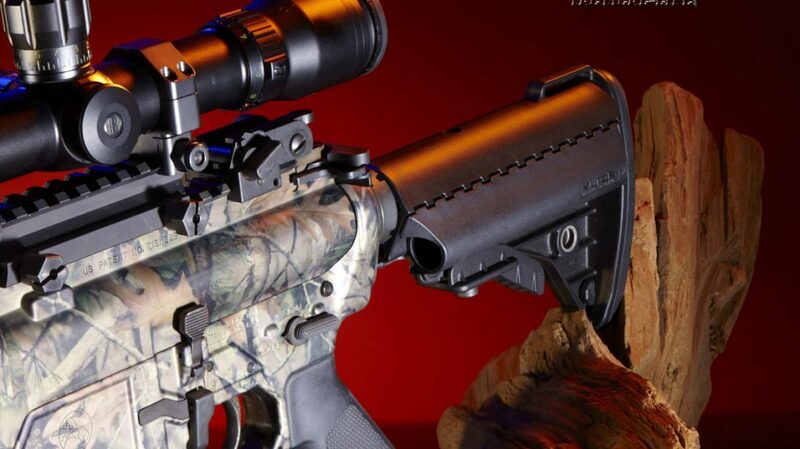 And, today’s military-inspired AR-type rifles are at the height of versatility and performance. 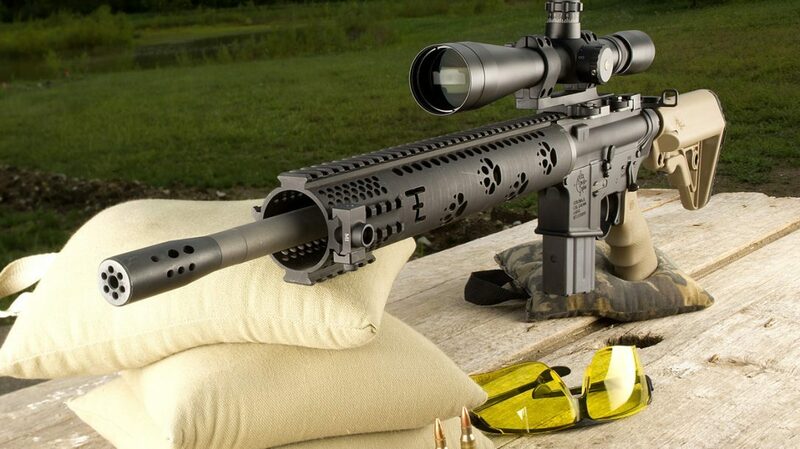 Here are our Top 10 ARs — solid performers that can get just about any job done. 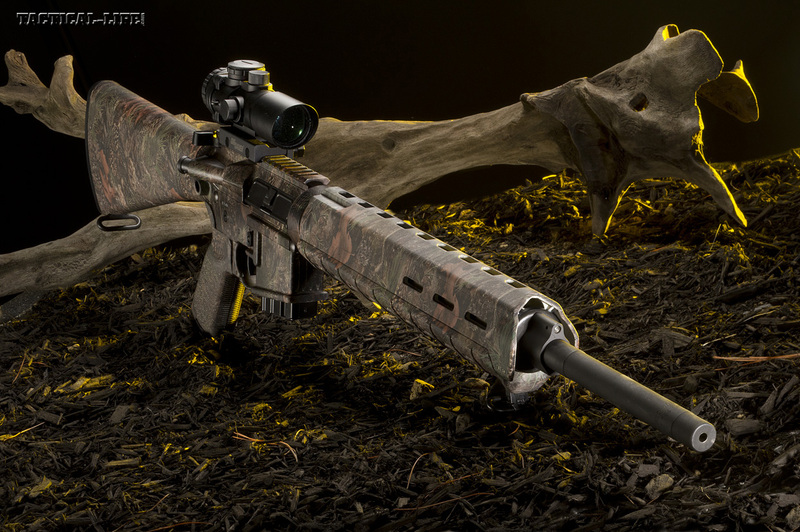 Stag’s 6.8 SPC Model 7 shines for thick-country bucks with its power, accuracy and handling! 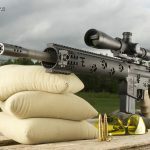 When President George W. Bush declared the War on Terror, the U.S. Army Special Operations Command created a special purpose modular rifle and discovered that the 7.62x39mm had an edge over the 5.56x45mm in terminal performance. 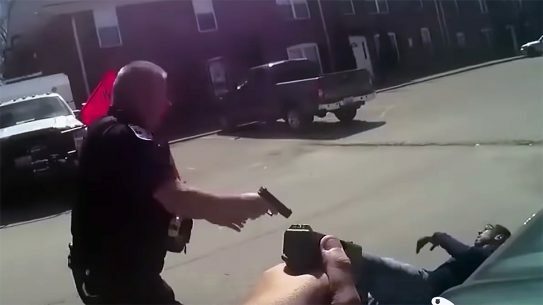 With the help of Remington they used a shortened .30 Rem. 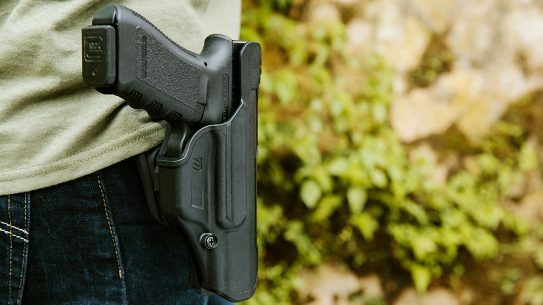 case with a .270 bullet—basically the same bullet used in the .270 Win. cartridge. 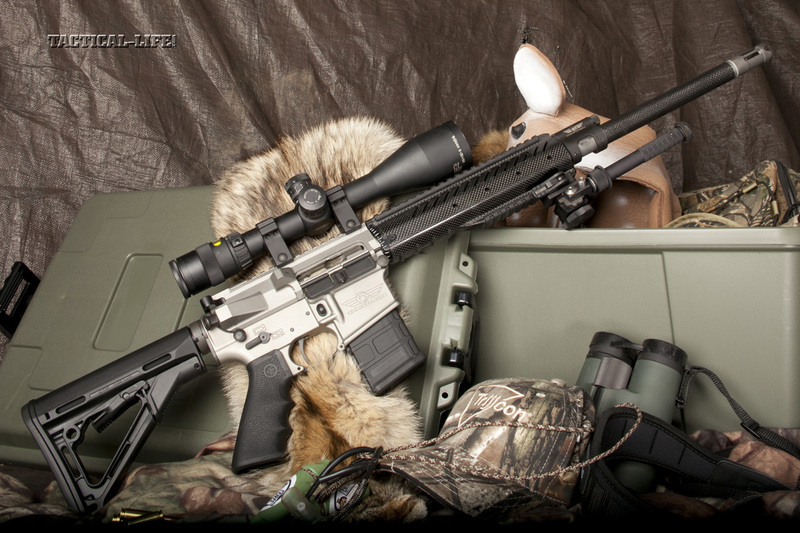 Now the 6.8 SPC will do anything deer rifle calibers will and with less recoil. And when compared to the 150-grain .30-30, the 6.8 SPC beats the downrange energy of that old-school cartridge at 100 yards and farther. 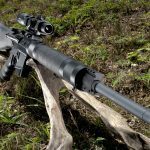 The .17 HMR is a fast rimfire cartridge that produces accurate reliability and performance beyond that of the .22 WMR in trajectory and velocity while being less susceptible to wind drift. 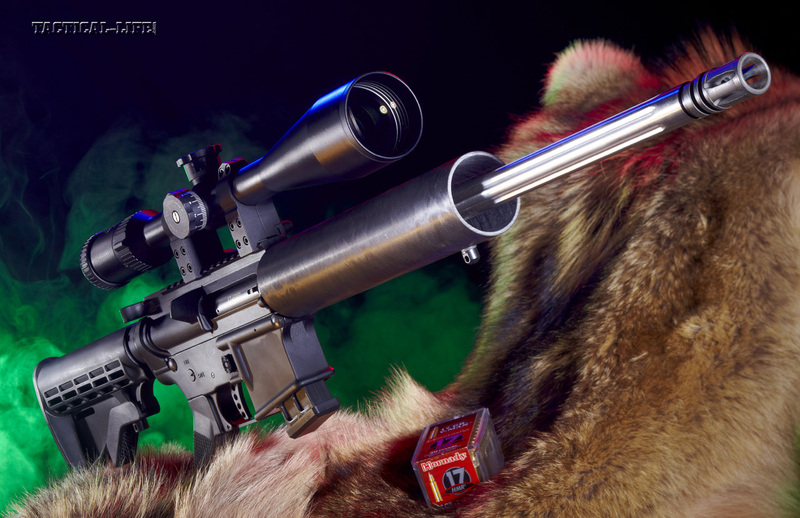 Designed to shoot under 1 MOA or better, and loaded with Lil’ Gun powder, this diminutive cartridge produces velocities higher than 2,500 fps with 17-grain loads and 2,375 fps for the 20-grain loads. 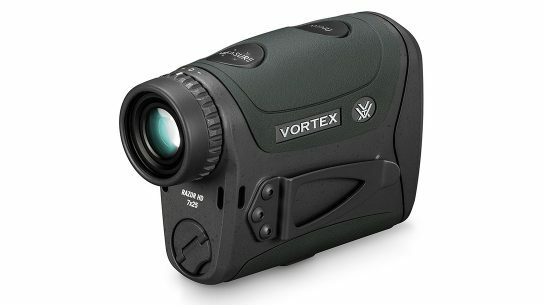 This combination produces a terminal performance that is deadly out to 200 yards on a windless day. 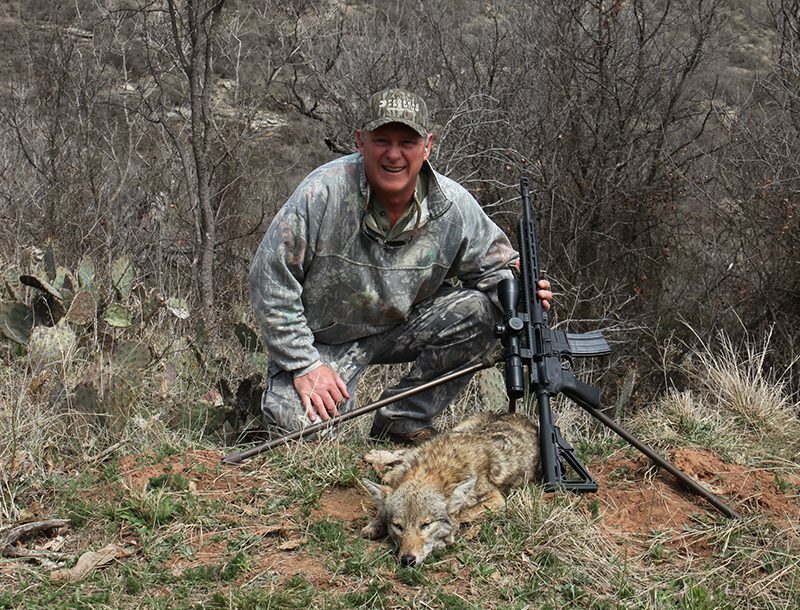 Alexander Arms’ upgraded .17 HMR verminator is the perfect rifle to shoot everything from ground squirrels to jack rabbits, and even coyotes or wild turkeys. 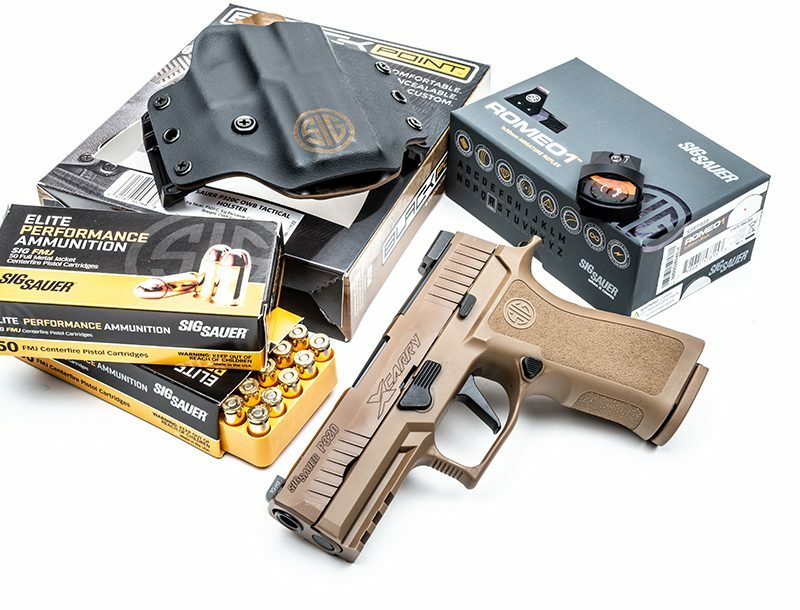 Sig Sauer transforms its ultimate fighter to give hunters what they need to drop game afield! 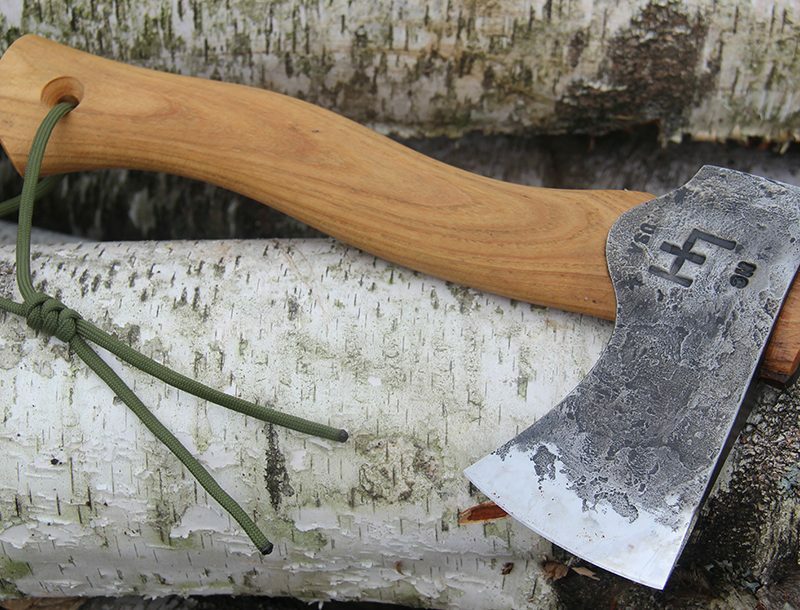 The barrel is 20 inches, phosphate-coated, match grade and has a 1-in-8-inch twist rate with six grooves. 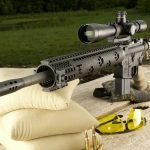 The resulting rifle has a 38.5-inch overall length, which is still short enough to handle well while the barrel is long enough to extract a bit more velocity from the cartridge. 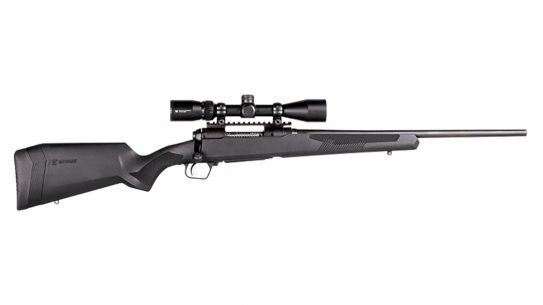 This rifle feels comfortable and well balanced in the shooter’s hands and it is great right out of the box with a wide variety of ammo products. 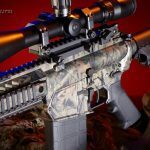 If you’re looking to add a dedicated varmint-ready AR to your arsenal, the Rock River Arms Fred Eichler Series Predator is a great choice! 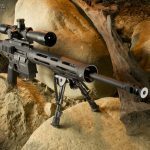 The rifle’s 16-inch mid-length stainless steel barrel has been cryogenically treated to increase the shooter’s accuracy and aids in cleaning the firearm. 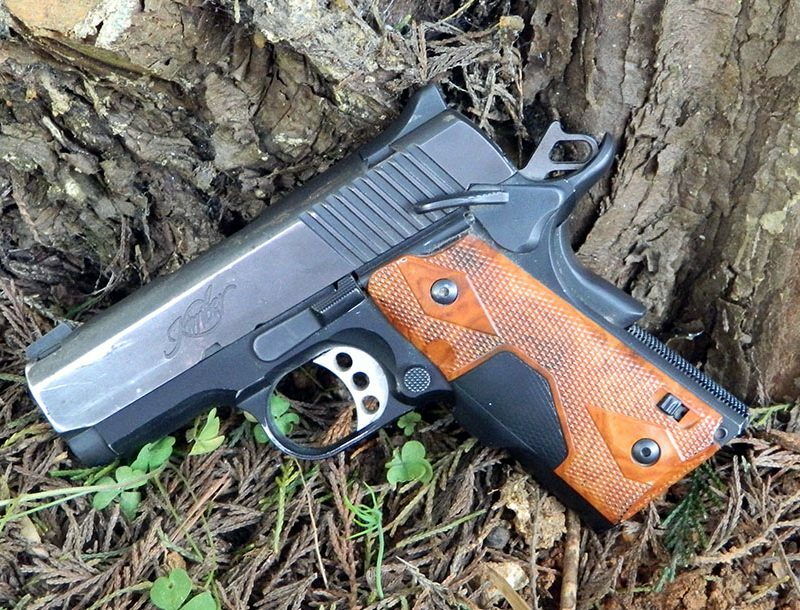 The barrel has a 1-in-8-inch twist rate to stabilize heavier bullets. 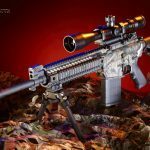 This rifle wears a RRA free-floating handguard that has a full-length Picatinny top rail and 2.5-inch rails at 3, 6 and 9 o’clock for mounting lights, lasers and bipods. 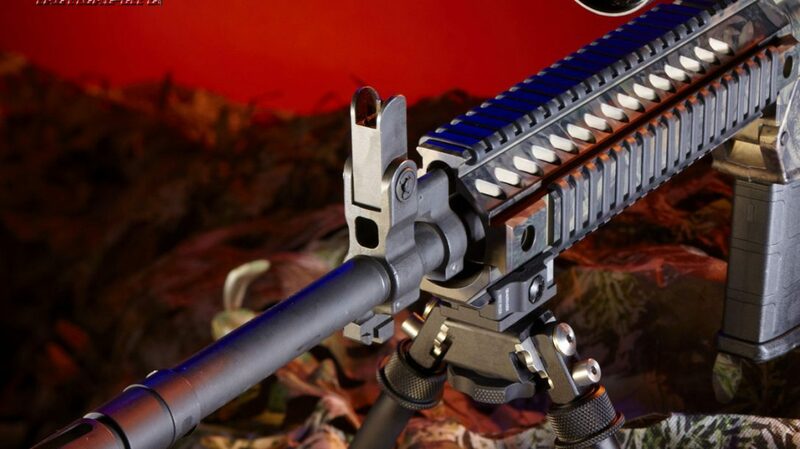 These rail sections aren’t just bolted to the handguard: they’re machined as part of the whole unit. 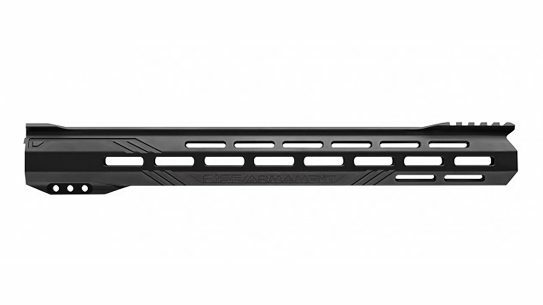 The handguard also displays a unique CNC-machined coyote track design, which adds both flare and functionality by dissipating heat. 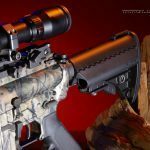 Windham’s latest—the 16-inch Heavy Barrel Carbine—is a highly affordable backcountry survival weapon. 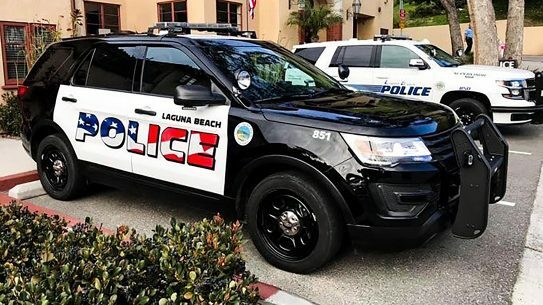 The HBC includes a 16-inch heavy profile chrome-lined barrel with M4 double heat shield that extends out to 34.5 inches and collapses to 30 inches. 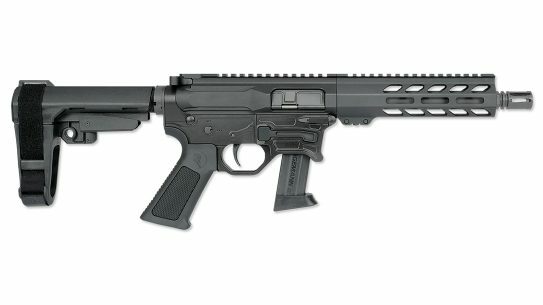 With a M4A4 type flat-top receiver and detachable carry handle, as well as a 1-in 9-inch twist rate and a thirty round magazine capacity, this is an extremely well-built and reliable carbine that is great for everyday use. 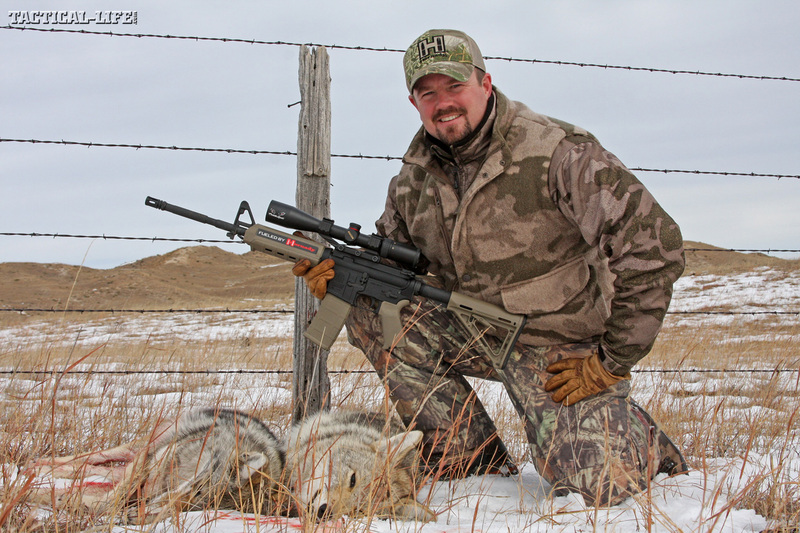 Be it prairie dogs in Texas, whitetails in Maine or elks in Colorado, the Colt LE901-16S is the rifle for the hunt. 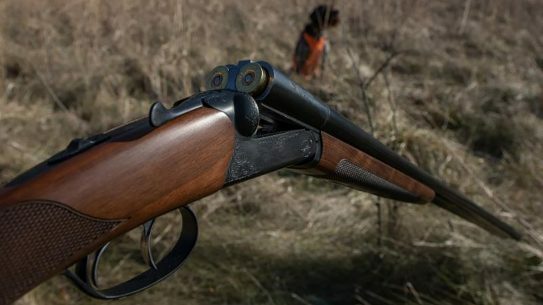 Chambered in the classic .308 Winchester cartridge, the LE901-16S is the perfect choice for medium to large sized game animals. 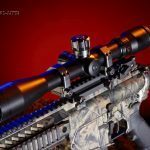 Exceptional accuracy is assured by its full floated, 16.1” chrome lined barrel and one-piece monolithic upper receiver, suitable for mounting your optic of choice. 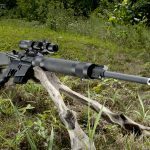 Keeping the varmint hunter in mind, the .308 Winchester upper receiver group can be easily swapped out for any Mil-Spec Colt upper receiver chambered in 5.56×45 NATO. The fact that all operating controls are ambidextrous, including the magazine release, bolt catch and safety selector, makes for versatility and ease of use. 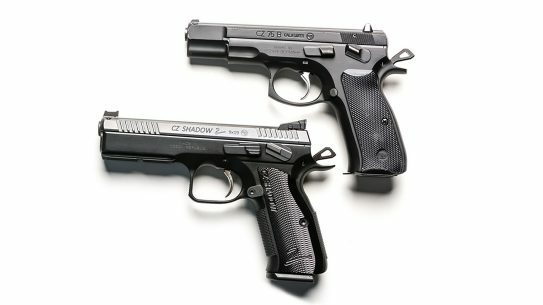 You can depend on the new Colt LE901-16S to take the shot of a lifetime! 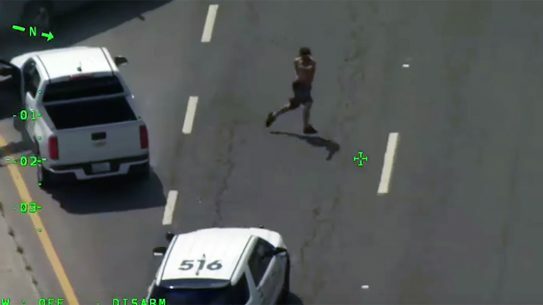 A full dose of Texas aerial justice and a reality check for bleeding-heart anti-hunters! 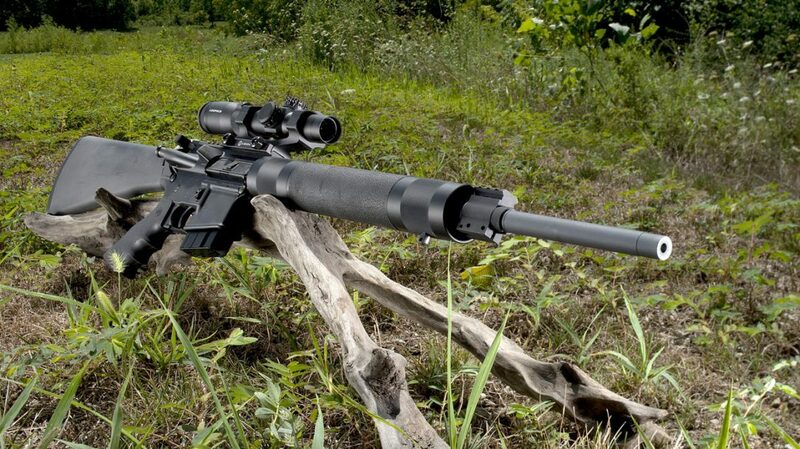 Building on the success of the OBR (optimized battle rifle), LaRue’s PredatAR OBR was created as a lighter and faster version designed primarily for the civilian market. 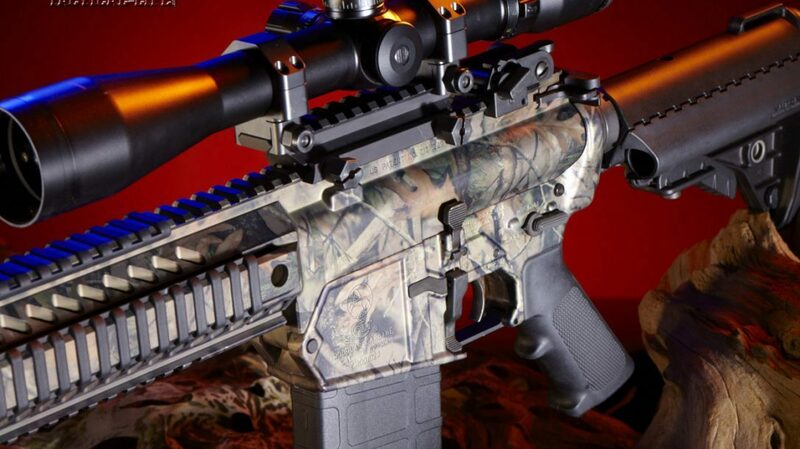 Set up with only a Trijicon SRS red-dot, Magpul CTR stock and Angled Fore-Grip, the LaRue PredatAR OBR combined power and agility into a lethal platform for taking down gnarly hogs. 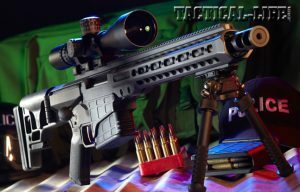 Our writer took the gun out for two and half days of hog-eradication duty from a helicopter on a Texas farm and found the LaRue Tactical PredatAR to be more than up for the job. 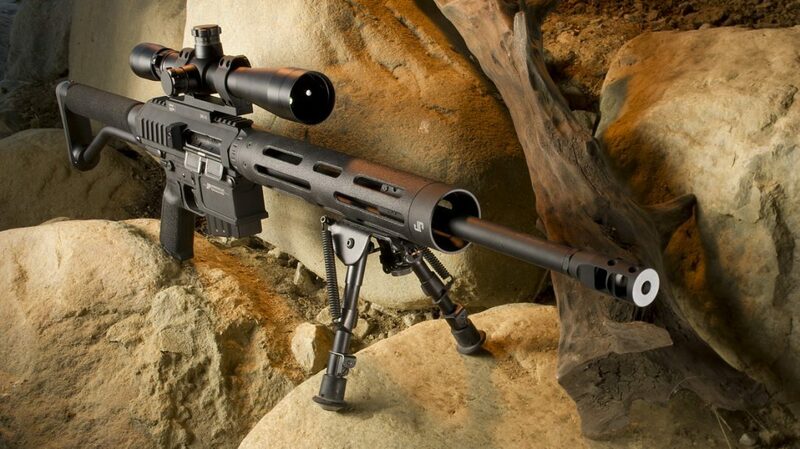 Powerful, lightweight, and ready to engage out to 800 yards, this CA-15 in 6.5 Grendel is ready to hunt! 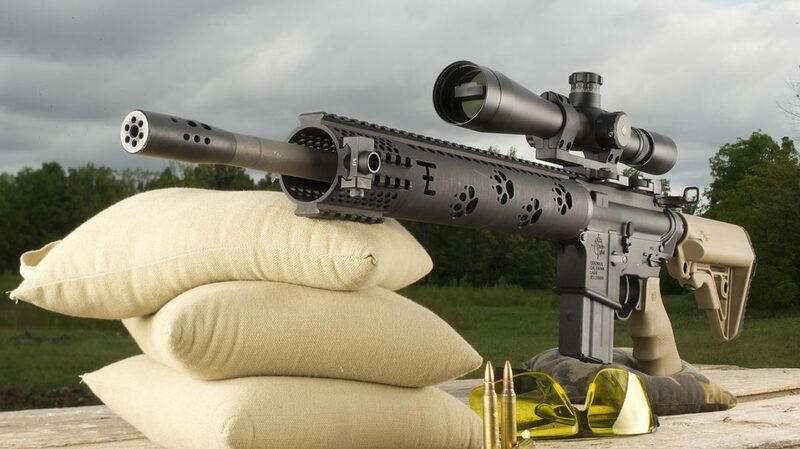 As stiff as a steel bull barrel but almost half the weight, the titanium brake-equipped barrel is extremely accurate, and at the extended ranges the 6.5 Grendel is about 10 percent flatter in trajectory and lands with more than twice the impact. 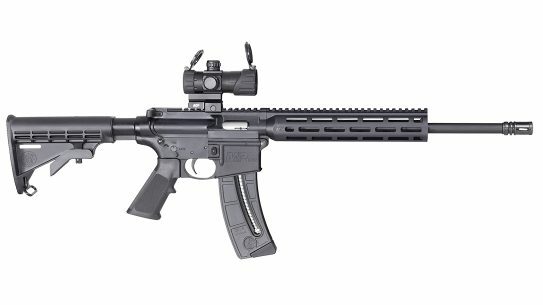 This gun also features a CA-15’s billet receiver that houses a light, crisp Timney trigger and several other shooter-friendly features. 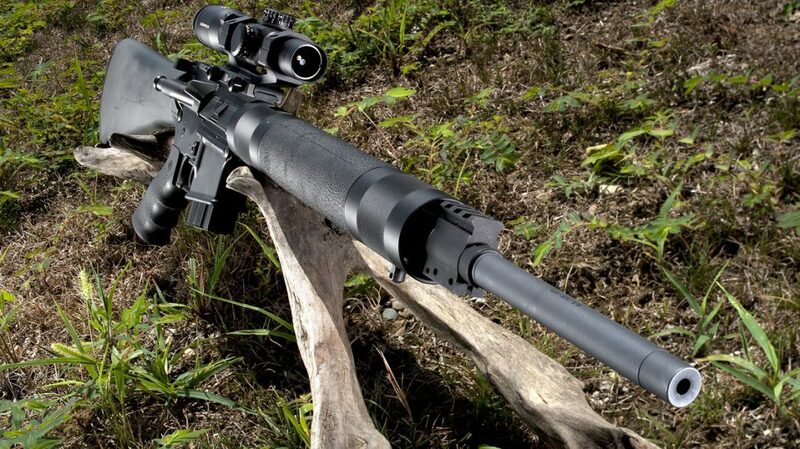 The bolt carrier is a stainless Adams Arms design with a magnetic-particle tested bolt. 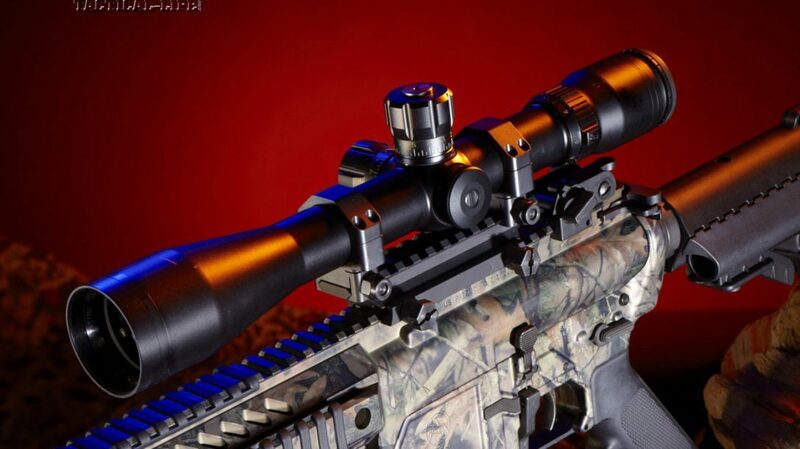 Today’s CA-15 receivers are anodized and then Cerakote treated on the outside to add even more durability. Holding the upper and lower receivers are two pins with enlarged heads to ease disassembly. The dustcover has a nice added touch of the caliber etched on its outside surface. 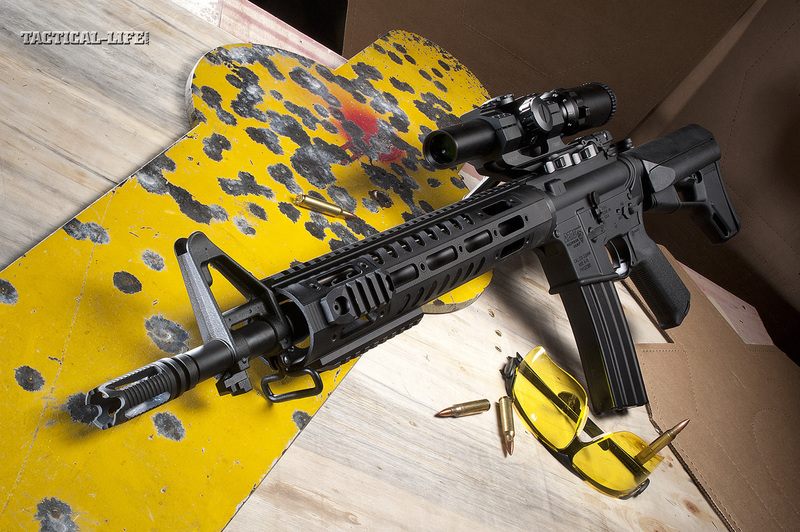 The all-new DPMS TAC2 is a semiautomatic AR-platform carbine chambered for 5.56mm NATO. It operates with a traditional direct gas impingement system. 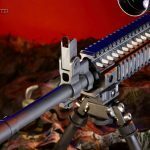 It is this gas system that represents the TAC2’s most distinct feature: unlike most carbines rifles, the TAC2 has a rifle-length gas system which places the front of the gas tube only about 3 inches from the muzzle of the 16-inch barrel. 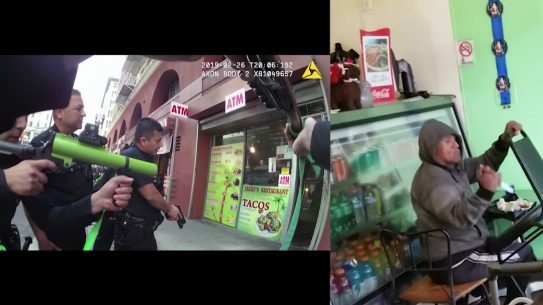 This improvement means there is less recoil in the rifle, keeping it on target for faster follow-up shots. 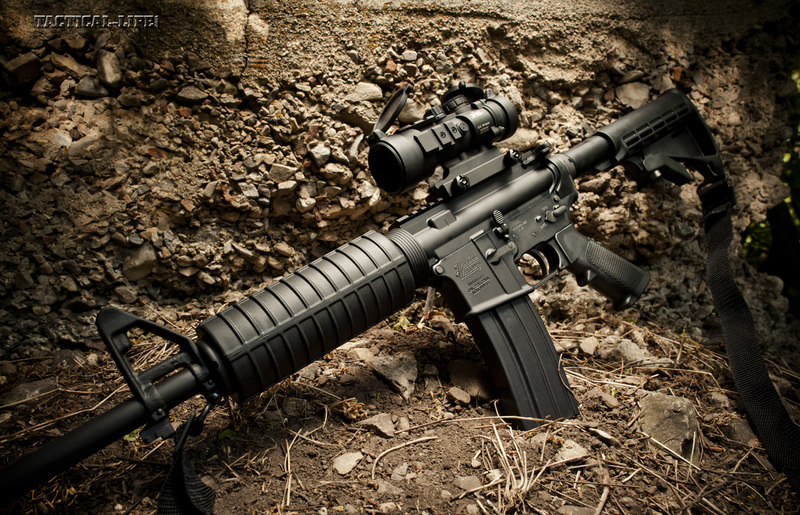 DPMS also significantly upgraded this rifle by adding the Magpul MOE polymer grip which features internal storage space for extra batteries or spare parts as well as an aggressive texturing for a better, more ergonomic grip in inclement conditions. 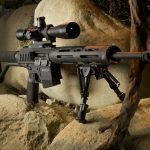 This rifle performed admirably for our writer, with no maintenance performed between sessions, it had not a single malfunction over several days of shooting. 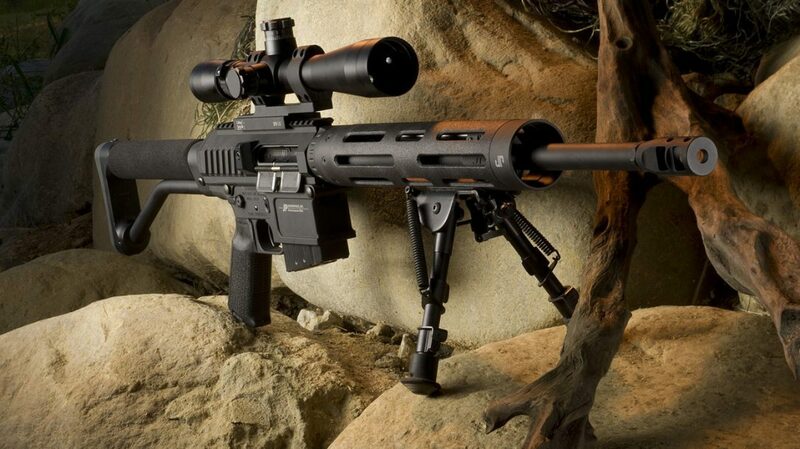 The Barrett MRAD .308 is a SOCOM-born tactical dominator bred for extreme sub-MOA precision!